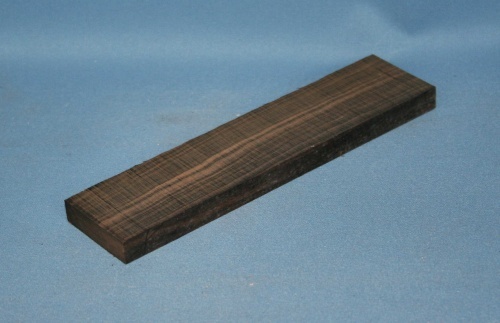 Macassar ebony western guitar bridge blank grade AAA* well figured. Diospyros celebica sourced from Indonesia. Macassar Ebony has become a popular alternative choice for guitar bridges for those looking for something special in appearance.